Read. Eat. Create. Join us for this session's book club! Upon registration, you can pick up a copy of the book at the Dundee Library Youth Services desk. 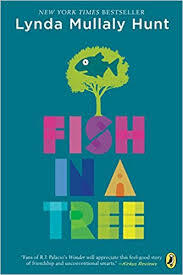 This session, we will be discussing the book Fish In A Tree by Linda Mullaly Hunt.